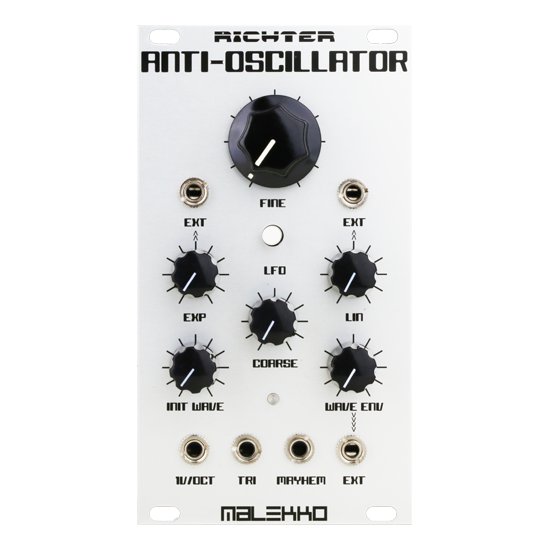 The Richter Anti-Oscillator is an analog triangle-core oscillator with unique voltage-controllable waveshaping capabilities. Read more below! The Anti-Oscillator is know for its great FM response and capability to achieve fat and clangorous sounds. It pairs perfectly with the Wiard Oscillator for modulation, and the Borg and Boogie filters to shape and tame the Mayhem output!